With its spectacular historic buildings, Mediterranean climate and crystal clear waters, Dubrovnik was Byron’s ‘pearl of the Adriatic’. For Alison Baycock, this Croatian jewel has everything needed for a memorable holiday. If you take in only one tourist attraction in Dubrovnik, it must be the city walls. At up to 82 feet high and 39 feet wide and dotted with towers and crenellations, these are possibly the best preserved and most impressive fortifications of their kind still in existence. Built between the eighth and 16th centuries, the walls completely surround Dubrovnik’s small but exquisite Old Town and provide a wonderful vantage point to view the creamy, terracotta-roofed buildings and sparkling blue Adriatic. The whole circuit is 1.2 miles and takes about an hour. The monumental Great Fountain is located just inside Dubrovnik’s main Pile gate – to prevent disease, visitors were required to use it to wash before they entered the city. It is one of two elaborate fountains built in the 15th century by Neapolitan Onofrio della Cava to supply water from a source 12 miles away. Make time to visit at least one of the many islands strung along the Dalmatian coast. 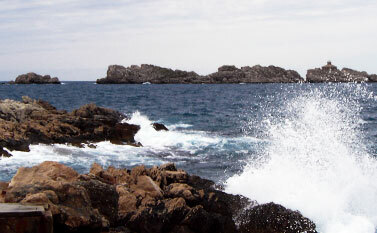 The nearest is Lokrum, a 15-minute boat ride from the Old Town. With its ruined fort, sub-tropical flora and fauna and warm salt-water lake, it makes a perfect place to get away from it all. A little further away are the Elaphite islands – Kolocep, Lopud and Sipan. They all have few, if any, cars, and are only sparsely populated. Croatia has an ideal wine-growing climate and produces some extremely drinkable wines. The local reds are particularly good. Croatian beer is good value and an excellent antidote to the Mediterranean sun. There are no cars in Dubrovnik’s Old Town, so strolling along its polished marble walkways and winding in and out of the narrow, shady streets is an absolute pleasure. The area is best known for its embroidery and lace work, leather crafts and jewellery. You will also find stylish clothes – including ties, which were invented in Croatia – and quality designer crafts. If you want to see where the locals shop, go down to the market at Gruz harbour, which is a riot of colour and activity.